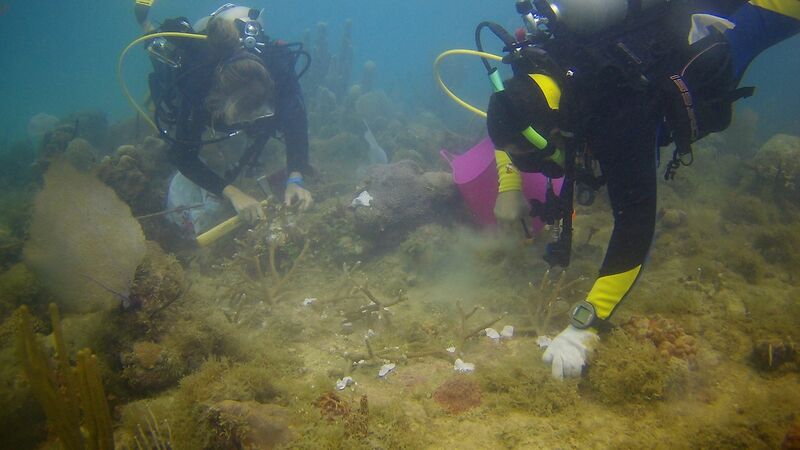 FUNDEMAR, with the objective of maintain Dominican Republic reefs created a project named Coral Mania. One of the main goals of this project is to transplant the Acropora Cervicornis coral that is growing in coral nurseries around Bayahibe to the reefs of the “Santuario Marino Arrecifes Del Sur”. The coral chosen for the project was Acropora Cervicornis for two main reasons. One, in the 80s this coral have almost disappeared largely as a result of White Band Disease, a coral disease which remains poorly understood. This coral is currently listed as “Critically Endangered” on the International Union for Conservation of Nature (IUCN) Red List. Second, this coral gives a very good landscape for other marine life to protect and grow. 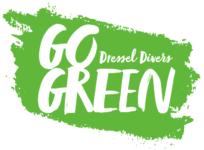 On the 23 of February, Dressel Divers supported the project allowing two of his instructors, Giovanni Gastaldo and Carlo Di Natale, along with one diver boat with captain Alex Mejia to spend the morning helping the effort of transplant the corals grown in Coco Reef Nursery to La Playita reef. “We departed towards the coral nurseries (on the first day it was the Atlantic Princess one and on the second day the Coco Reef one) where each collector took 2 colonies of coral. During this phase of the event was of great importance to keep the different colonies separated because, while implanting in a same area pieces of coral from the same colony will help the coral growing faster, mixing organisms with a different genotype may create competition and result in a potential loss of individuals. Once the collection was completed it was time to go to the implant site, which was La Playetta in front of Bayahibe, as quick as possible in order to minimize the stress for the organisms. The actual transplant was organized in buddy teams: each buddy team had a crate with 2 colonies to place in clusters inside a marked area with the use of epoxy cement, alternatively one of the diver will place a piece of coral over the bottom by founding a stable position whom will allow sustain and a good flow of water, then clean with a pike the attaching point and let the other diver to place the epoxy and making sure to attach the coral properly. 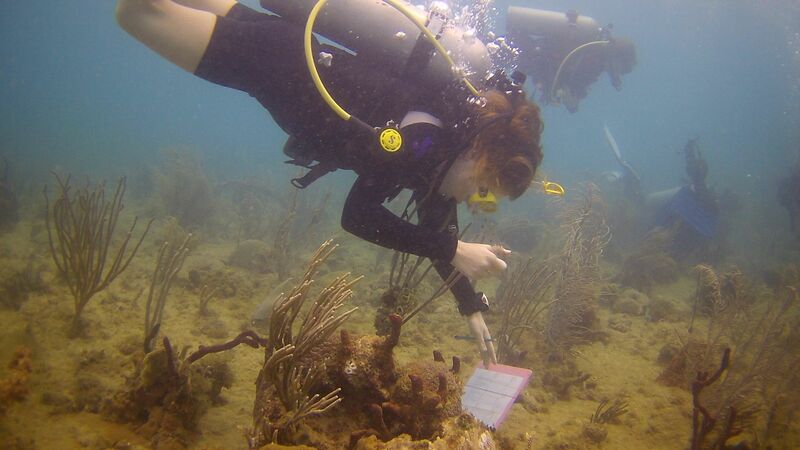 Once a cluster was finished, with the placement of 10 to 20 pieces of coral, a marker was left for the data collectors whom role was to count and measure the piece of coral inside the cluster. The data collection is a fundamental point of the project in order to monitor how the clusters will grow allowing to develop a consolidated and data proven system.